Roelant Oltmans has always been regarded as someone who fitted brilliantly into the Hockey India’s scheme for resurrection of Indian Field Hockey. 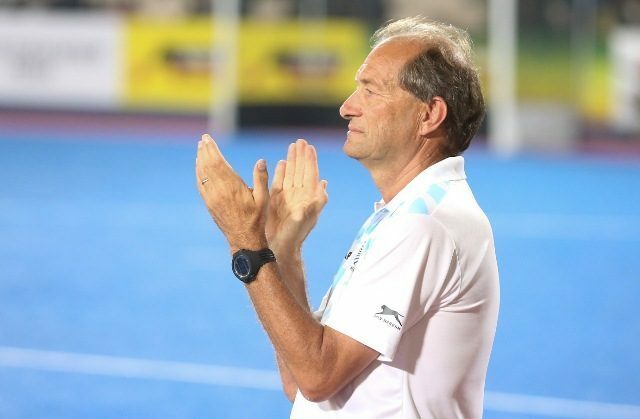 The Dutchman, who has been a keen observer of performances and failures of Indian Hockey team for a while now, as the High Performance Director and Head Coach of the Men’s team, spoke to us about preparation of the team in lead to the Rio 2016 Summer Games. We are on the right track. There is still work to do but that is normal when you are three months ahead of the Olympics. If I were to assess, the boys are doing really well physically and mentally. We are improving in every aspect day by day and we are working our plans out for the different opponents we will meet in the Olympics. I am quite pleased with the efforts and the progress shown by the team. I think the most important thing for us is that each of our players understand their role. Nowadays in modern hockey, positions are changing so quickly, nobody will just play in one position. Someone playing inside for a couple of minutes can suddenly play as a forward or a midfielder or a defender. So they need to understand their own strengths and weakness and also of fellow players too. We try to use each and every player in a way to best utilize their strength. That is always a challenge. Unfortunately, in any top sport, injuries are part and parcel of the game. That said, we monitor our players constantly and I get information from our Scientific Advisor whether we need to train harder or give more rest so that we can try and avoid injuries. 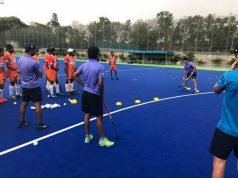 It starts with the selection for the camp by either performing in national tournaments and Hockey India League or junior camps. Then they compete with other campers and make sure the selectors take notice of them and of course the position they play. We always have a certain number of attackers, midfielders, defenders and goalkeepers. That’s what we discuss with selectors and based on that we select a team. At the moment, we have 29 players in the camp and only 16 will make it to the team with two reserves. Final selections will take place in early July and from there on we discuss the best combinations. To be honest, we know the quality of the players, it’s all about looking for right combinations, that will bring and make the best team. Performance based expectations from the men’s team and talent pool..
We hope our performance will inspire youngsters. 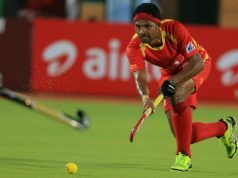 In the last couple of years, a lot of initiatives has been undertaken by Hockey India. For instance, the Hockey India League. 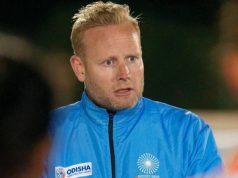 The performances of men and women teams are getting better and better which hopefully will inspire many more youngsters and this in return will help us bring a better pool to pick the future teams from. In the Olympics, all the matches are tough. We play Holland, Argentina, Ireland, Canada and Germany in our pool. There is a plan for each of these opponents. Our players know how we will approach a team like Holland, how we will approach a team like Argentina or Germany in a way that we get the best result out of it. A Sports enthusiast with some Sports Management background. Feels Cricket, loves Hockey & Badminton and likes to interact with Sportspersons.